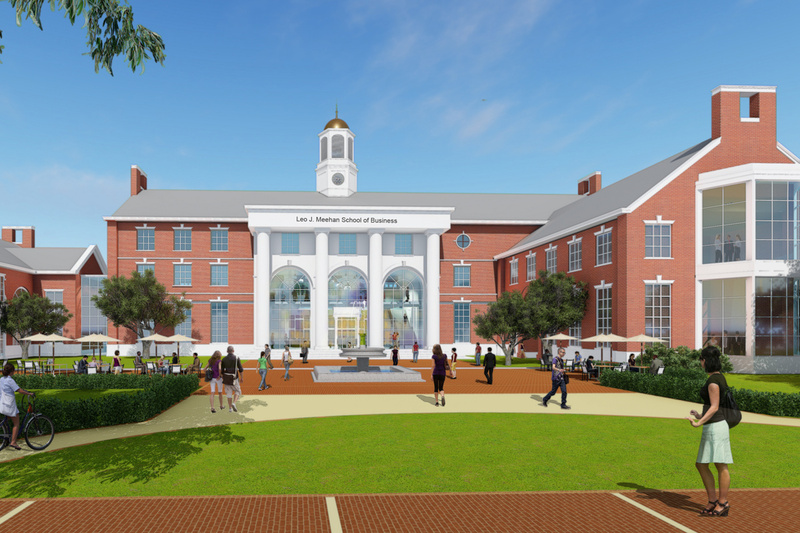 (Providence, RI) – BOND, the Northeast’s premier building, civil, utility and energy construction firm, announces that Stonehill College has selected BOND to provide preconstruction and construction management services for its new Leo J. Meehan School of Business. This project was awarded to BOND and is being managed by the Providence office team, whose leadership has been instrumental in building a strong relationship with the College. The state-of-the-art $30 million School of Business launches the College’s revitalization program to transform the campus for the future. Located in the main quadrangle of the campus, the 65,000 SF facility will provide an innovative and active learning space for students in accounting, finance, international business, management, marketing, economics and healthcare administration. It will feature cutting-edge technology and flexible, adaptive classrooms that support hands-on learning and collaboration, preparing students to operate more successfully in the real world. Currently in the design phase, building construction will begin Spring 2018 and is slated for completion in August 2019. Design and project partners include: S/L/A/M Collaborative, Bard, Rao + Athanas Consulting Engineers (BR+A) and Nitsch Engineering. In addition, BOND recently broke ground on the College’s Academic and Welcome Center and has completed several other projects on campus including: the Rev. Mark T. Cregan C.S.C. Athletic and Fitness Center at the Sally Blair Ames Sports Complex and the Thomas and Mary Shields Science Center. Stonehill is a selective Catholic college located near Boston on a beautiful 384-acre campus in Easton, Massachusetts. With a student-faculty ratio of 12:1, the College engages over 2,500 students in 80+ rigorous academic programs in the liberal arts, sciences, and pre-professional fields. The Stonehill community helps students to develop the knowledge, skills, and character to meet their professional goals and to live lives of purpose and integrity.